This map shows territory of Kazakhstan, of Russia. free map of Ilek with gps calibration here. interesting map of Yaman for gps. detailed map of Studenoye presented. actual map of Sovetskiy for you. map of Sladkov displayed. actual map of Prilekskiy for gps. actual map of Pervoye Maya with gps calibration for gps. actual map of Mukhranovo и OziExplorer calibration for Garmin. map of Krestovka 1 cm to 1 km download for free. actual map of Kolesnikov calibrated for Garmin. free map of Razdol'noye calibrated for you. 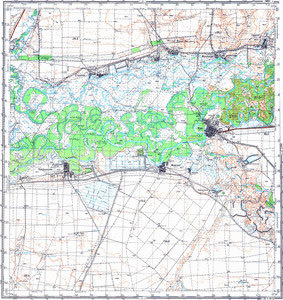 topographic map of Zharsuat и OziExplorer calibration free download. topographic map of Verkhniy Bistau with gps calibration for gps. topographic map of Vasil'yevka presented. detailed map of Sary this. free map of Priural'noye и OziExplorer calibration here. free map of Karashyganak calibrated presented.